Home / Disciplines and Products / Urology / Lithotripsy Database / Blog / Database / Tran TY et al, 2014: Triple D Score Is a Reportable Predictor of Shockwave Lithotripsy Stone-Free Rates. 1, 2, and 3 correlated with SWL success rates of 21.4%, 41.3%, 78.7%, and 96.1%, respectively. Conclusions: Readily available predictive tools are necessary to enhance SWL cost-effectiveness. The Triple D Score is simple to calculate and can be reported by radiologists. Incorporation of the Triple D Score into preoperative planning may increase the overall SWL success rates. The term wasteful spending appears more often in debates about the ever increasing health care costs. Publications that allow predicting success of ESWL help to reduce costs and increase the quality of treatment. This publication and the one by Sfoungaristos S, et al. (Sfoungaristos S, et al. Do we really need a KUB to predict stone radiopacity prior treatment with shockwave lithotripsy? Development and internal validation of a novel predictive model based on computed tomography parameters. 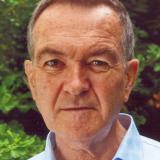 J Endourol. 2014 Aug 8) are of interest in this respect. The Triple D Score is easily calculated by data from the pre-ESWL CT imaging. Data from all cases which were stone free 4 to 6 weeks after one ESWL session were used for its construction. Only stone density (HU), skin-to-stone distance (SSD) and the ellipsoid stone volume (ESV) significantly contributed to the stone free rate. 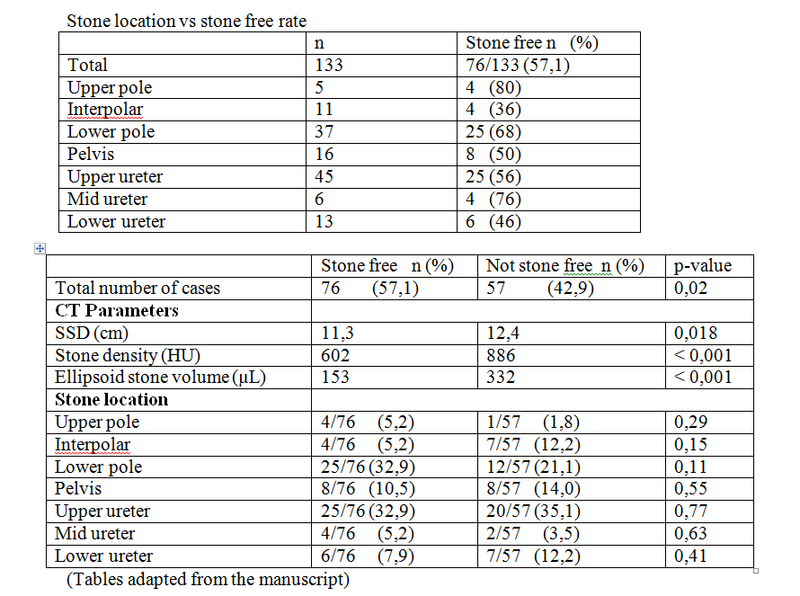 Some of the results were not what one would expect, like lower pole or mid ureteral stones being third and second best in terms of stone free rate. The number of cases was relatively small and with a larger number stone location could get a significant influence on the results. Applying the Triple D Score retrospectively 74 (55,6%) of the 133 cases would have been excluded from ESWL and be treated by URS or PNL.